Making a difference one baby at a time . . .
Stella Marina in the News!! 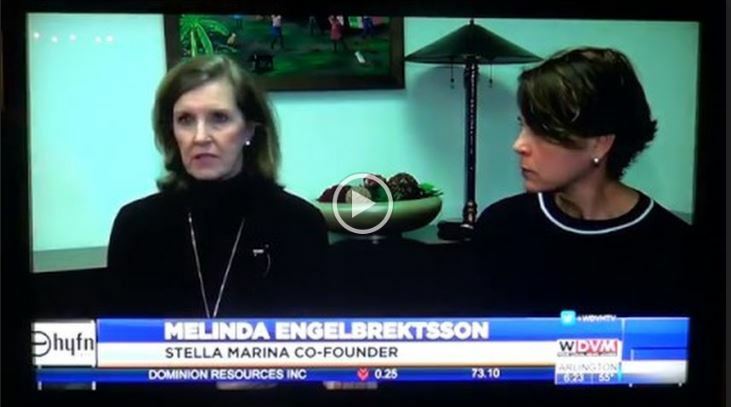 Stella Marina was recently featured in the Arlington Catholic Herald and on WDVM to discuss the Stella Marina program. Click on the images below to read the story and see the video. There were sixteen Nativity volunteers and the two truck drivers, Rodney and William, from Brothers Brother, who loaded over 2400 birthing kits, 1950 newborn kits, 100 Baby Bjorn carriers, 19 pack n plays, and other medical supplies bound for Cap Haitien, Haiti. Father Vaccaro blessed the trucks and the cargo before they began their long journey to the port in Haiti. With the help of Brothers Brother and Food For The Poor, the midwives, mothers and babies will have what they need for a safe childbirth. 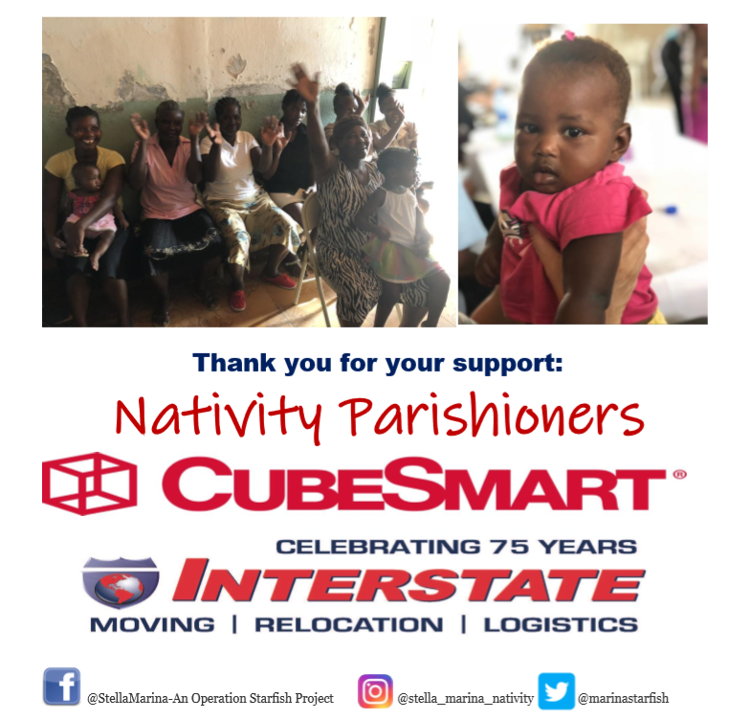 Heartfelt thanks to our Nativity parishioners, Cubesmart and Interstate Van Lines for your unwaivering support! Food For The Poor Article Highlights Stella Marina's Great Work. " 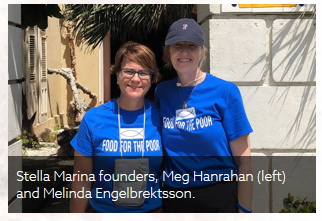 Virginia Group Gives Newborns in Haiti a Better Chance at Life"
Blessings Indeed! 1,200 Birthing Kits assembled by hundreds of parishioners after Masses at Nativity on March 11, 2018, all coordinated by a most amazing group of dedicated and inspiring women. 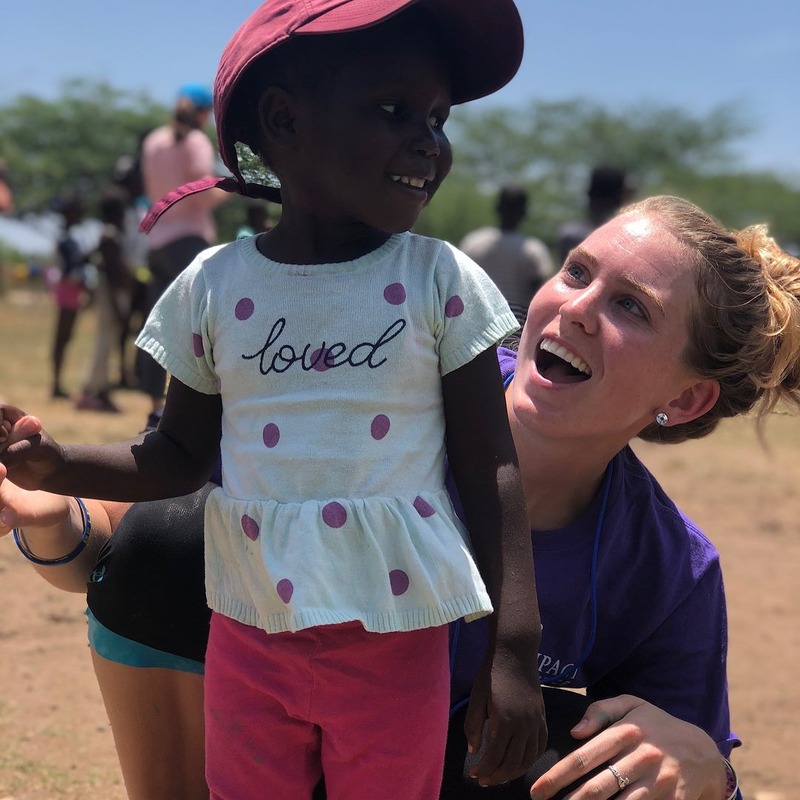 Stella Marina's first mission trip was a huge success. Anna Forde - one of the group who traveled to Haiti with us in June - took hours of film from our trip and has turned it into a great video. The video has lovely highlights from our trip including testimonials from several midwives and time spent with the people who live in villages built by Church of the Nativity through Food for the Poor. Enjoy! (Watching this video makes us eager for our next mission trip.) Watch the video to see this amazing journey. Seeing the picture of the Shada slum midwives on the Fish4Hope Facebook page brought back strong memories of births that nearly cost two women their lives. However, they were blessed to be in the United States and to have quality medical care ready to save them and their children. Meg Hanrahan wanted to do something to help these midwives and the women and children they served. Melinda Engelbrektsson had been to the Shada slum and could not imagine the conditions under which the women gave birth. Armed with lists of needs from Dr. Maklin and Madam Bwa, they began to make a big impact but at a small cost. Are You Looking For An Opportunity To Help? Thank you to Kristen Arseneau and the guests at Kelsey Cole's baby shower for donating enough items to create 70 newborn kits for the moms in Shada. This looks like a great way to celebrate during a baby shower by extending the blessing of a newborn kit. We are blessed! 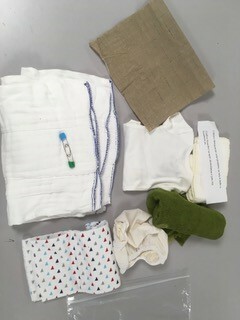 Thank you Linnette Le for organizing a birthing kit build at your sister-in-law’s baby shower! Linnette and her guests put together 150 kits for the midwives and moms in the Shada slums. 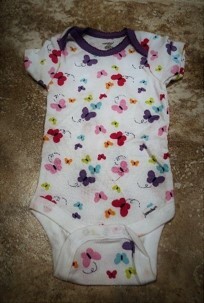 Baby showers are a great time to help the mothers in Haiti. Contact us if you are interested in organizing a build at your shower. If you are interested in being added to our mailing list or to learn more about Stella Marina or would like to Volunteer for any of our events, please fill in the form below and we will contact you. Thank You for your support!!!! 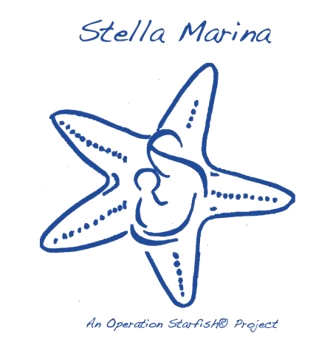 The Inspiration behind Operation Starfish that helped Launch Stella Marina. Watch the video to learn how it all began.